Turn your backyard into a tranquil, inviting sanctuary – your own private retreat. From that first sip of morning coffee to a relaxing afternoon nap or an evening cookout with neighbors, our Gazebos, Pavilions, and Pergolas offer you endless ways to enjoy outdoor living. Designed and built with your lifestyle in mind, our quality gazebos, pavilions and pergolas are handcrafted with the finest materials and attention to detail – to add beauty to your landscape and set the scene for lasting memories with family and friends. 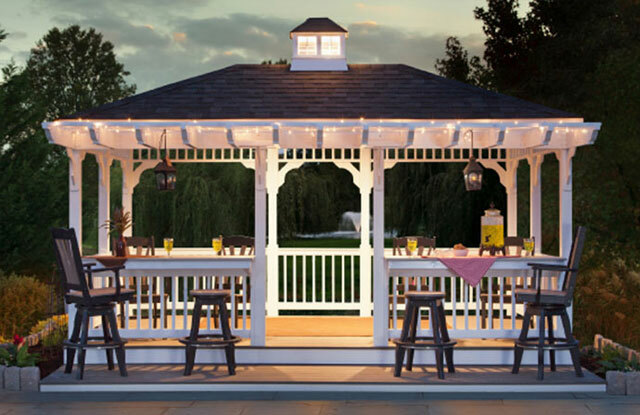 Choose from a variety of sizes and styles available in our Gazebos, Pavilions and Pergolas collections, or let us build you a customized gazebo, pergola or pavilion exactly the way you choose. From a small, serene retreat in your backyard to a large gazebo, pavilion or pergola, perfect for parks, concerts or large gatherings, Amish Structures makes it easy to enjoy the beauty of the outdoors in comfort and style. 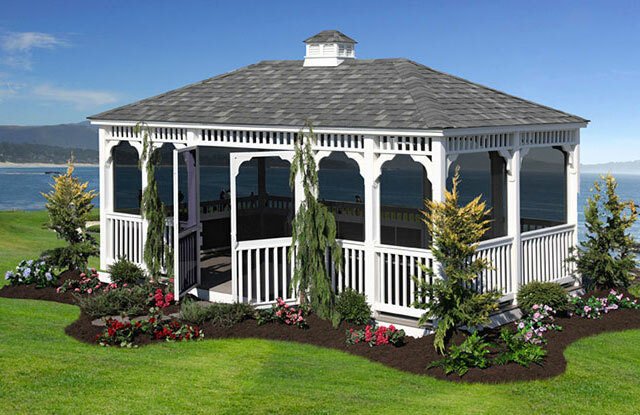 When you’re searching for high-quality gazebos for sale in New Jersey or Maryland, Amish Structures is without a doubt the finest option for you. Whether you’re in need of a rustic and charming wood gazebo or a more low-maintenance vinyl gazebo, the skilled craftsman who make our structures can stun you with their detail-oriented and attentive work. If you’re looking for sturdy and attractive pavilions in Maryland and New Jersey, we can accommodate you here at Amish Structures. We offer top-notch outdoor structures and are a reliable business for you to consider. Our company provides wood pavilions and vinyl pavilions that are Amish built with the finest materials. Amish built pergolas from Amish Structures provide you with a beautiful way to add sophisticated yet casual elegance to your backyard. 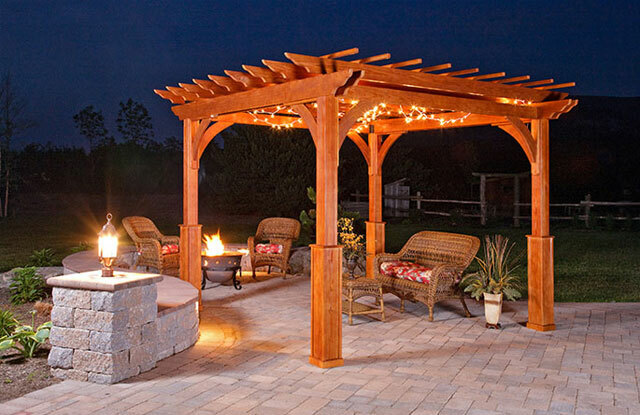 The shade created by your new pergola can provide you with a cooler and more comfortable place to relax. This is the ideal setting for entertaining or relaxing with your loved ones. When looking for outhouses, you want to be guaranteed a product that provides quality and convenience. We have Amish built outhouses for sale that are made with materials that are made to last and craftsmanship that ensures a job well-done.